The Bio Chef Professional Juicer sets a new standard in affordable juice extractors. We are all trying to be healthy and you can now enjoy the nutritional benefits of juicing without the strain on the pocket! 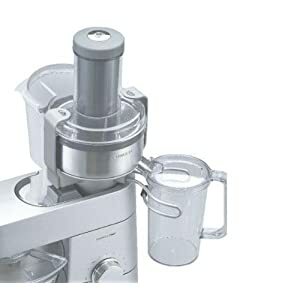 The juicer has a powerful motor and is well made, it is pleasing to the eye with its stylish design. 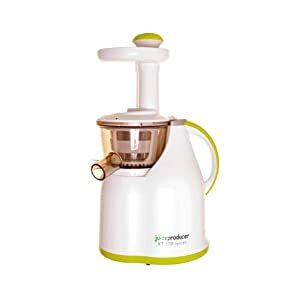 The juicer is perfect for people who are just starting to reap the benefits of juicing and are looking for a robust affordable juicer. Cleaning has never been easier than with the Bio Chef Juicer and it simply requires a quick rinse under water and a quick scrub of the Juicing Strainer. The Bio Chef Juicer delivers true value for money while extracting the most juice possible from fruits and vegetables - no wastage! The Kenwood AT641 Juicer Attachment is the perfect accessory for your Chef or Major multifunction food processor. It is excellent at making the most amazing fruit and vegetable juices. It comes with a large 7.3cm funnel so you can add whole ingredients without having to chop them up beforehand. The sieve is made from stainless steel for easy cleaning, while its capacity of 500g means you can get more done in less time. The AT641 can also be dissembled for low maintenance.